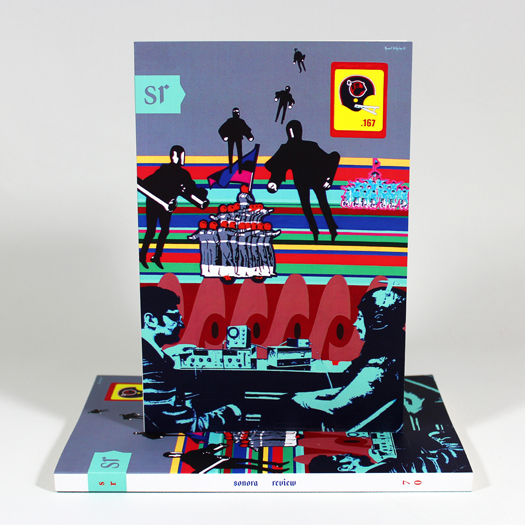 The New Logic has gained new life as the cover image for Issue 70 of Sonora Review. It’s a tremendous honor to see my 2003 painting The New Logic featured on the cover of the current issue of literary journal Sonora Review. Produced by graduate students of the Creative Writing Department at the University of Arizona, Sonora Review is one of the oldest student-run literary journals in the U.S. Its former staff members include David Foster Wallace and Richard Russo. The New Logic is featured on Issue 70 of Sonora Review. It’s the second consecutive time in which my work has appeared on the journal’s cover. In spring of 2016, issue 69 showcased The Escape Machine, which is from the same series and era as The New Logic. The New Logic is one of my darker paintings. When I asked Sonora Review Editor-in-Chief Janet Towle that she consider this painting, versus more upbeat sketches I had offered, I had the feeling this painting would more accurately mirror the unsettled psychology of our present moment. As if combatting mass-paranoia, all persons portrayed in this painting — except for one — wear a helmet. Even the football helmet’s hammer-wielding mascot dons a hardhat. The lone exception is the psychotherapist in the foreground, who administers a biofeedback experiment on his willing subject. In the distance, against a panorama of lurid stripes, flag-brandishing motorcycle corps seem destined to clash. Patrolling the skies, searching for an enemy of the state, are silhouettes of futuristic “firemen,” from François Truffaut’s film adaptation of Ray Bradbury’s novel Fahrenheit 451. The football helmet in the upper right corner is of the Pittsburgh Maulers, of the defunct United States Football League, which Donald Trump is credited with destroying. The Maulers had a .167 winning percentage in their only season. To me, this reference was personal. While a fan of American football as a child, I had found myself completely uninterested in the sport as an adult. This was my ode to a lost passion, and the disappearance of an upstart league that had tremendous promise. 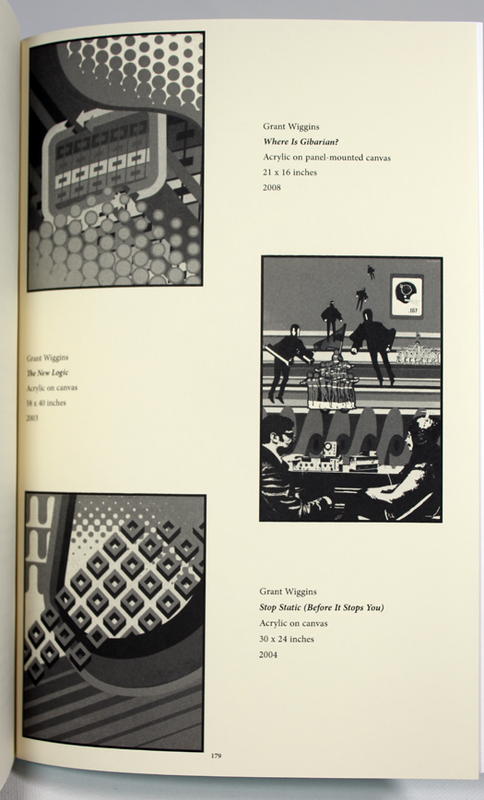 Page 179 offers three black-and-white images of paintings I have made over the years. In addition to The New Logic, pictured are Where Is Gibarian? and Stop Static (Before It Stops You). Paintings by Grant Wiggins showcased in Issue 70 of Sonora Review. For Grant Wiggins, whose painting The New Logic is featured on this issue’s cover, a life in the visual arts originated in poetry. While a fledgling poet at Kenyon College, he dreamed of publishing his poems in a literary journal. He therefore feels tremendously honored to be invited by Editor Janet Towle to showcase his art in issues 69 and 70 of Sonora Review. 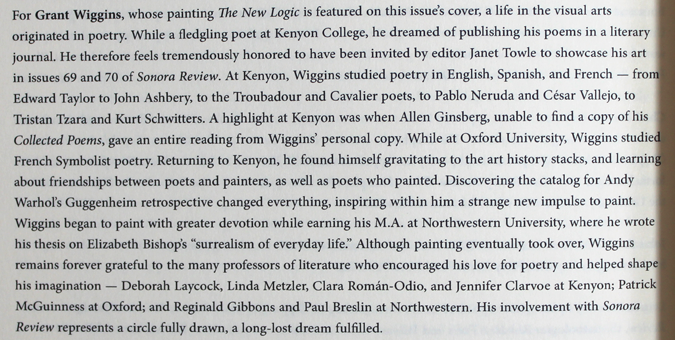 At Kenyon, Wiggins studied poetry in English, Spanish, and French — from Edward Taylor to John Ashbery, to the Troubadour and Cavalier poets, to Pablo Neruda and César Vallejo, to Tristan Tzara and Kurt Schwitters. A highlight at Kenyon was when Allen Ginsberg, unable to find a copy of his Collected Poems, gave an entire reading from Wiggins’ personal copy. While at Oxford University, Wiggins studied French Symbolist poetry. Returning to Kenyon, he found himself gravitating to the art history stacks, and learning about friendships between poets and painters, as well as poets who painted. Discovering the catalog for Andy Warhol’s Guggenheim retrospective changed everything, inspiring within him a strange new impulse to paint. Wiggins began to paint with greater devotion while earning his M.A. at Northwestern University, where he wrote his thesis on Elizabeth Bishop’s “surrealism of everyday life.” Although painting eventually took over, Wiggins remains forever grateful to the many professors of literature who encouraged his love for poetry and helped shape his imagination — Deborah Laycock, Linda Metzler, Clara Román-Odio, and Jennifer Clarvoe at Kenyon; Patrick McGuinness at Oxford; and Reginald Gibbons and Paul Breslin at Northwestern. His involvement with Sonora Review represents a circle fully drawn, a long-lost dream fulfilled. I traded a life in literature for one the visual arts at a fairly young age. The results haven’t been half-bad! Kidding aside, sometimes I wonder what that other life might have been. Collaborating with Sonora Review over these past two issues has been tremendous fun. I have sincerely enjoyed reconnecting with literary circles. It’s encouraging to see work that I made more than a decade gain new life. The Escape Machine on the cover of issue 69 of Sonora Review. I’m honored and thrilled to see my painting The Escape Machine showcased on the cover of the newest issue of Sonora Review. My gratitude goes to Editor-in-Chief Janet Towle for the opportunity! Produced by graduate students of the Creative Writing Department at the University of Arizona, Sonora Review is one of the oldest student-run literary journals in the country. Since its founding in 1980, the journal has published many highly respected authors, such as Denis Johnson, Mark Doty, Campbell McGrath, Maggie Nelson, Nick Flynn, and Lydia Millet. 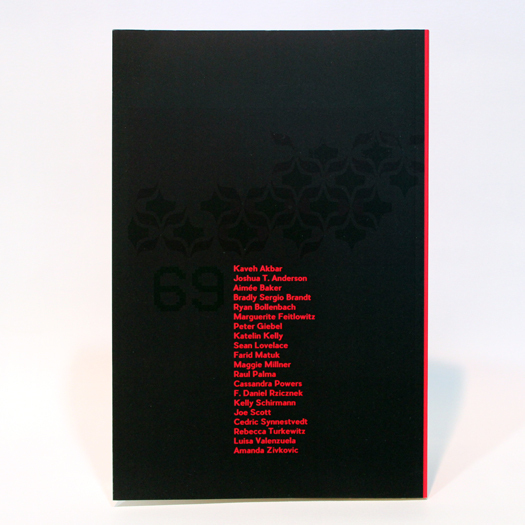 Former staff members of Sonora Review include Antonya Nelson, Robert Boswell, Richard Russo, Tony Hoagland, David Foster Wallace, Joshua Marie Wilkinson, Tim Peterson, and Richard Siken. Work originally printed in Sonora Review has appeared in Best of the West and Best American Poetry, and has won O. Henry Awards and Pushcart Prizes. More at sonorareview.com. Back cover and artist bio in Sonora Review’s issue 69. Painted in 2002, The Escape Machine represents one of my first experiments with incorporating pattern into my paintings. 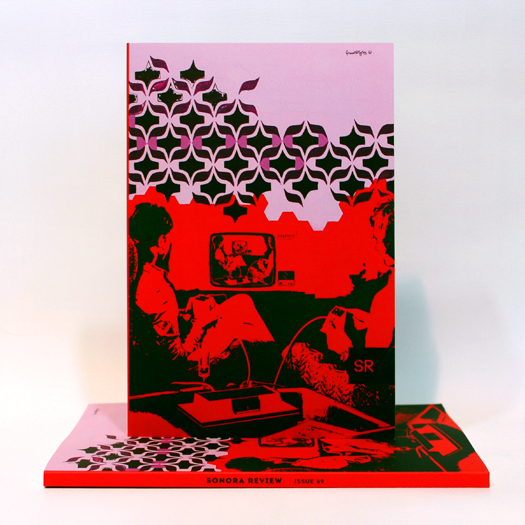 It also samples an image from a mid-1970s German instruction manual for the Odyssey video game console. Playing their way into a feedback loop, the painting’s subjects seem to have fallen into a mirror world. The painting inquires how the virtual reality of video games might shape or reinforce everyday consensus reality. I’m very encouraged to see work I made many years ago find new life. It’s also fantastic to have my work appreciated by literary circles!